ECKY THUMP! (Tech/Techno/Junglefunk/Bounce) Hailing from the Sundrenched beaches of South East Queensland, Australia and a regular of bars'n'clubs around the South of Korea since the fledgling scene first erupted in 2003, ECKY THUMP! (Dan to his mum) has been rinsing his style of fat, funky electro infused jams to any punter willing to lend an ear. From Busans’ legendary underground venues 'Vinyl Underground', ’247’ and 'Enoch Mansion' to long running residencies at the new generation superclubs 'Club Elune', ‘Club Grid’, 'Club Tao' and of course ‘Club Fix’, where he not only designed the clubs original concept but was the booking manager, main resident DJ and the mastermind behind the promotional drive that saw clubbing officially become Busans favorite pastime, ECKY THUMP! Has had a profound influence on the club scene in Busan. Ecky Thumps! diverse bootyshakin' sets have echoed across most of Asia alongside International acts such as Steve Aoki, Bombs Away, Reece Low, Calvertron, Bass Kleph, The Jungle Brothers, Sonny Wharton, Plump DJs, Jesse Rose, Alex Gaudino, The Squatters, Nom De Strip, Gigi Barocco, Peking Duk, Will Bailey, Lazy Rich, Stefano Noferini, DJ Craze, The Loops Of Fury, Cyberpunkers, Make the Girl Dance, Designer Drugs, Punk Rolla, Mustard Pimp, Myagi, AC Slater, Johnny Fiasco, G-Tronic, DJ@War, Nina Kraviz Keith McKenzie, Beat Torrent, Myagi, fRew, Blaze Tripp, Phil K, Aly & Fila, Stereo Heroes, Nosaj Thing and Nakadia. In 2010 his highly acclaimed internet show “Yello Feva” on NSB was nominated best radio show and also netted him several nominations as best antipodean breakbeat DJ. Since then Dan has released several beatport top 50s under various monikers and his bootlegs have even received support by Fatboy Slim himself. 2013 has kicked off with a bang for Ecky Thump!, seeing him play a variety of shows as a member of Koreas biggest agencies 'CLON' and resident DJ at Club Hive, Busan. His ‘dawn patrol’ sets at Busans ‘15ft under’ are quickly gaining a strong following in the South, introducing punters to the deeper sounds of dance music. Fresh, Driving, Funky, Charasmatic or downright cheeky.....call it what you will, ECKY THUMP! will get ya movin to it! Gova Boutique Sessions 1 by EckyThump! 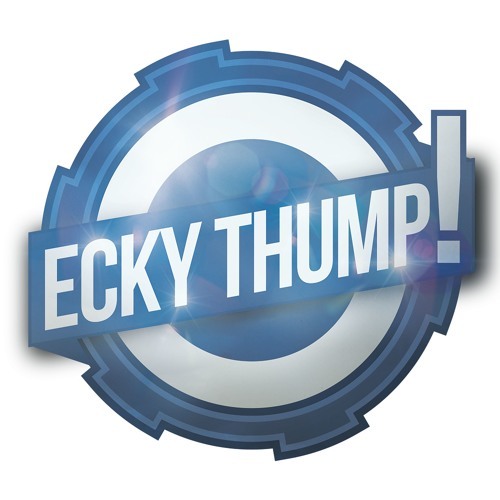 Ecky Thump!- Frisky Disko #002 by EckyThump!